I was getting bored just posting links and not getting to comment on them, so now, I post music news with a bit more of a personal touch. First, I do know that this isn't music news, but this is a music and television blog, and I am damn excited for the return of one of my favorite characters (and actors) to TV. I have been a Giancarlo Esposito fan since he played "Buggin' Out" in Spike Lee's "Do the Right Thing" so he was naturally one of my favorites as Gustavo Fring on Breaking Bad (one of the best shows in the history of forever...On my all-time list, second only to The Wire). Sure, we got a pretty big hint that he was coming back at the end of the last season of the really excellent prequel to Breaking Bad "Better Call Saul (AMC TV) but this new video (released today) pretty much cements that Gus will indeed be returning when the show returns this Spring. Don't forget, I will be recapping Better Call Saul from here on out as well (I started recapping the show last season). Everyone who reads this blog regularly knows that Cloud Nothings are one of my favorite bands. As you probably might also know, they have a new album called "Life Without Sound" coming out on January 27th. Well, just a few short months ago, they released a song from that record called "Internal Worlds" and now they have returned a funny video which purports to help reptiles learn to emulate human behaviors well enough to pass as humans (although they call it human assimilation so I may have it backward). Given that the song is, I think, about the difference between our interior worlds and our public personas, it makes a lot of sense. So, when I was in college I was a pretty big fan of Cabaret Voltaire. I started out a pure punk kid in high school and gravitated towards alternative dance, gothic, and industrial in my college years (in the mid-1980's) without ever really getting rid of the punk side. 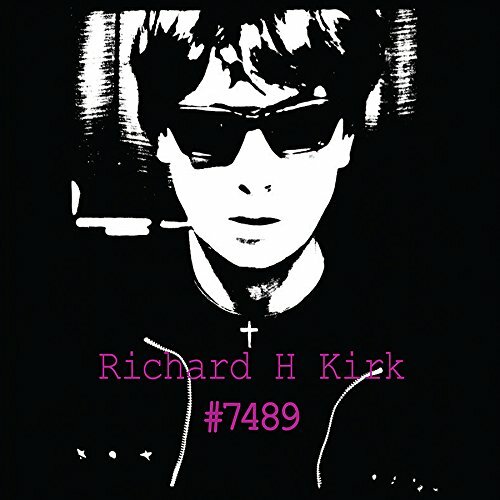 Richard H. Kirk was in Cabaret Voltaire and I came across this interesting Quietus article about his solo catalog much of which has been featured in a box set. I myself have to admit that I have not given much time to his solo work...Perhaps I will soon revisit his work. Ok, another day of sharing music down. How bad can a day be when you get to share a TON of music? Also, you can really hear the Radioactivity influence on Cloud Nothings if you listen to that album...Wow! Oh, also, did I mention GUS IS BACK!